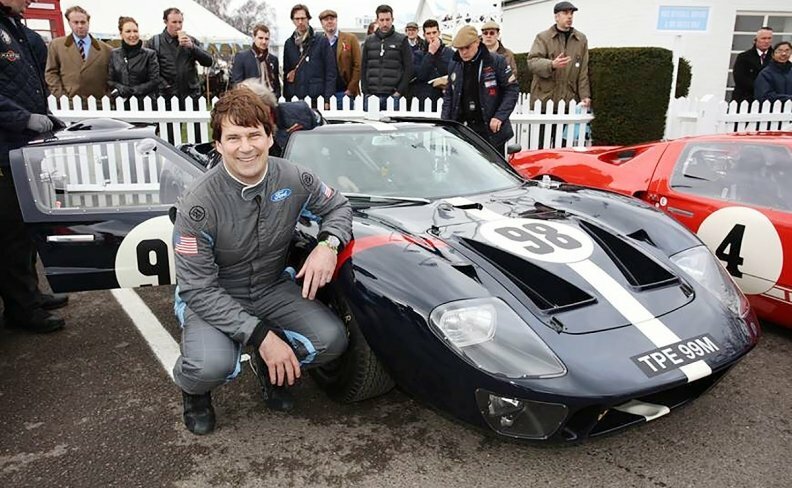 Racing is probably the most relaxing thing I've ever done," says Ford of Europe President Jim Farley. Given that Farley races his 1966 Ford GT40 worth upward of $3 million -- maybe more -- in a grid with numerous million-dollar cars, this is on its face a strange statement. But for him, racing is the antidote to the pressures of working life. "When I'm done with the race, no matter how it plays out, I don't think about anything else," he said in a phone interview. Farley, 54, will move to Ford's Dearborn headquarters to take on a new global role that includes overseeing the automaker's worldwide sales and marketing, strategy for electrified vehicles and autonomous vehicle, Lincoln brand, along with overseeing Ford’s Americas; Europe, Middle East and Africa and Asia Pacific business units, the automaker said on Monday. Farley is a petrolhead. His parents nicknamed him Jimmy Car-Car for his early obsession and over the years he parlayed his love of cars into a stellar career in the auto industry, first with Toyota, where he helped launch Scion, and then with Ford, rising to global head of sales and marketing before taking the European post in 2015. But for many years, he'd never raced. His conversion came in 2008 after a friend sold him a 289-cubic-inch small-block Cobra with a race pedigree on the condition that he took it back to the track. To Farley this added an exciting dimension to his Cobra ownership. "I started racing because I wanted to enjoy the car differently, to move off the lawn at Pebble Beach," he said. So he went to school and earned his competition license. But instead of kicking off his racing career in a friendly single-seater, he endured a trial by tire smoke in his Cobra at Road America in Wisconsin. "It's one thing being in classrooms where they tell you how to start, but when you're up to 140 mph on the half-mile straight at Road America drifting around with 40 Cobras and Corvettes all around you, it's a little different." He made it to the end, finishing midfield, and became hooked. "What I discovered is that I just loved the competition," he said. "I was a big sports guy in high school and I'd forgotten how much I'd missed competing." He also loved the camaraderie in the paddock. Asked what day jobs his fellow drivers had, he admitted to not knowing. "I've never really asked. We're just guys with helmets and race suits. That's kind of part of it for me," he said. After a couple of years of Cobra racing, he wanted to upgrade. "Pretty quickly I found out that maybe they weren't the safest cars," he said. So in 2012 he switched to a classic Lola T298, a car developed for the track and powered by a Ford-Cosworth BDA 2.0-liter engine ("I only race Fords"). "It was much faster, took a lot more skill to drive it fast and was a lot safer," he said. His commitment produced results too. Racing at the 2014 Le Mans Classic in France, he ran as high as third in his class before retiring with a mechanical fault. Then he bought a second Lola to compete in a different class, racing them back to back on some weekends in 2015. "I was driving eight hours the whole weekend. It was really, really intense. It was one of the best years I've had in my life." Then came the big purchase -- the GT40. Asked for the rationale behind it, he laughed. "That sounds like the question my wife asked: "What's the thinking there, buddy?'" Farley has been trading up cars all his life, starting with a ratty 1965 Mustang he bought for $500, restored and resold, doubling his money. "I've been doing that since I was 14. The next logical step was to own the ultimate Ford," he said. "So I sold everything. Every vehicle I owned, golf clubs, everything. I'm all in." He wouldn't say how much he paid for the GT40 but the car was a road-spec model, laid up for a while and in need of a conversion for racing. "The GT40 is the ultimate Lola for me. It's a closed car, it's fast but still V-8-powered and it has the ultimate history for a Ford," he said. For Farley, the mental shakeout of racing is a great way to fire himself up for his day job. He said: "It's one of the reasons why I love racing, it's the people, it's the competition, it's enjoying the car. It recharges my batteries."